The U.S. Internal Revenue Service suspects Nissan North American may have used Bermuda to wrongly shelter some income from U.S. taxes. 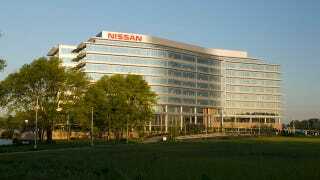 The agency won a federal court order last week forcing Nissan to surrender paperwork on contracts worth $45.9 million. Nissan denies any wrongdoing, and has been fighting with the IRS since March over the paperwork, saying the IRS was on "the epitome of a fishing expedition." But U.S. District Judge Todd Campbell in Nashville ordered Nissan to cough up the documents, saying the automaker's arguments weren't persuasive. In court filings, the IRS doesn't say how much it thinks Nissan's North American arm avoided paying in taxes, or spell out exactly which of the numerous techniques corporations use to avoid U.S. taxes Nissan might have used. The data it wants involve Nissan's contracts with 31 accounting, insurance and law firms, covering taxes filed in fiscal 2006 and 2007. "The IRS has reason to believe that Nissan has moved all or some of its U.S. extended service contract business offshore to Bermuda, a tax haven country, with the possible purpose of structuring payments to outside professionals so as to avoid U.S. taxation of the company's gross receipts." Corporations routinely use Bermuda and other foreign countries to avoid paying some $60 billion in U.S. taxes a year by shuttling income through wickedly complicated legal mazes. It's how Google managed to cut its taxes by $3.1 billion over three years, thanks to strategies dubbed the "Double Irish" and the "Dutch Sandwich." The IRS says the dispute, first reported by the Cool Springs Times in Tennessee, isn't a criminal one yet. Nissan spokesman Dave Reuter says the company won't appeal, and "we believe we followed all applicable laws during the filing of our 2006 and 2007 fiscal year tax returns."